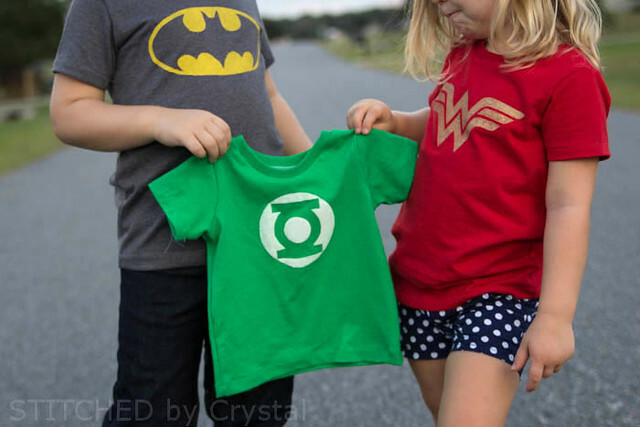 This month is all about the Justice League over at Craftingcon! 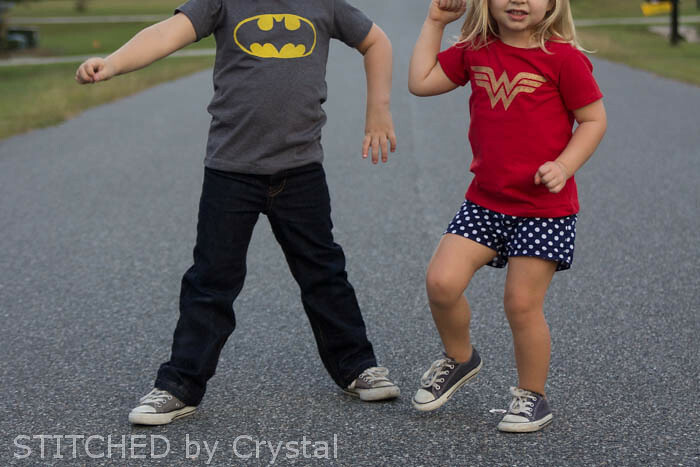 My son is crazy about superheros and my daughter pretty much likes anything big bro does, so they were both pretty excited about the Justice League inspired looks I made for them! 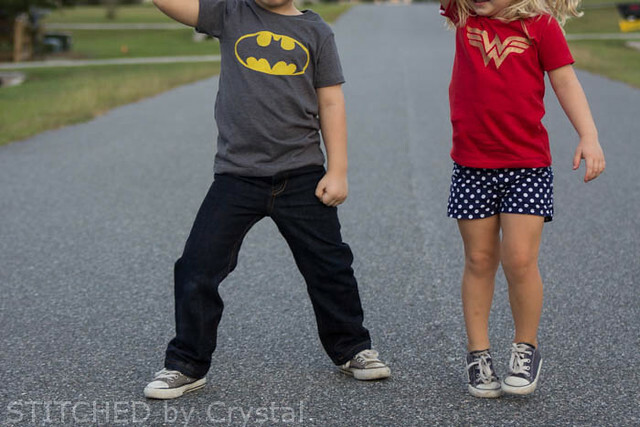 This was not the first time the Justice League has inspired my sewing, last year A had a pretty cool Superman costume! 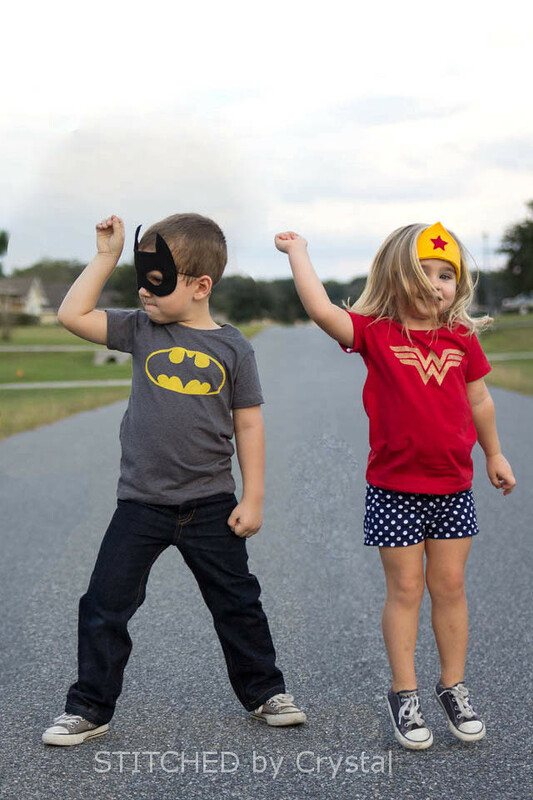 But, these looks are a lot more casual, perfect for everyday superhero wear. Make sure you swing by Craftingcon to read all the details on my Justice League inspired look today! 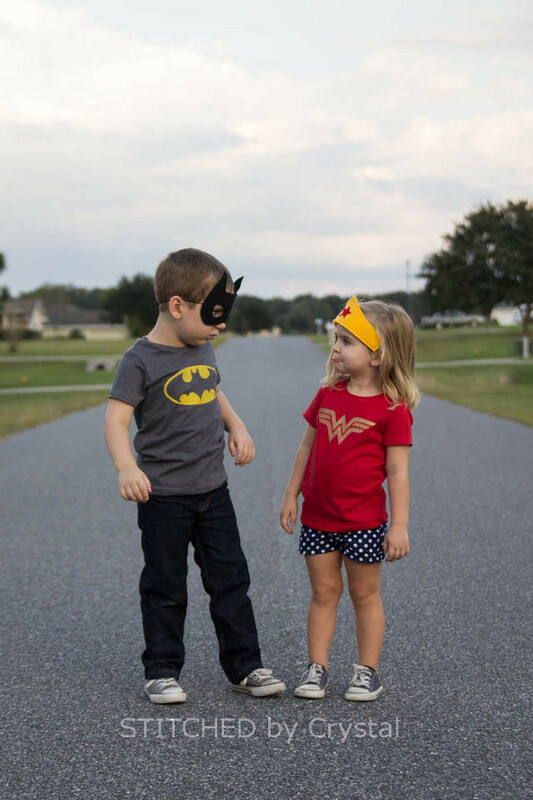 The little kids are very cute first of all.It is more than good that their demand is fulfilled by their mother.Justice league has once again proved to be on the show by inspiring millions of childrens to replicate them.Hoping to see different costumes weared by the little guys in the near future.Keep it up.